After eating and enjoying corn on the cob, don’t throw away your corn stalks! 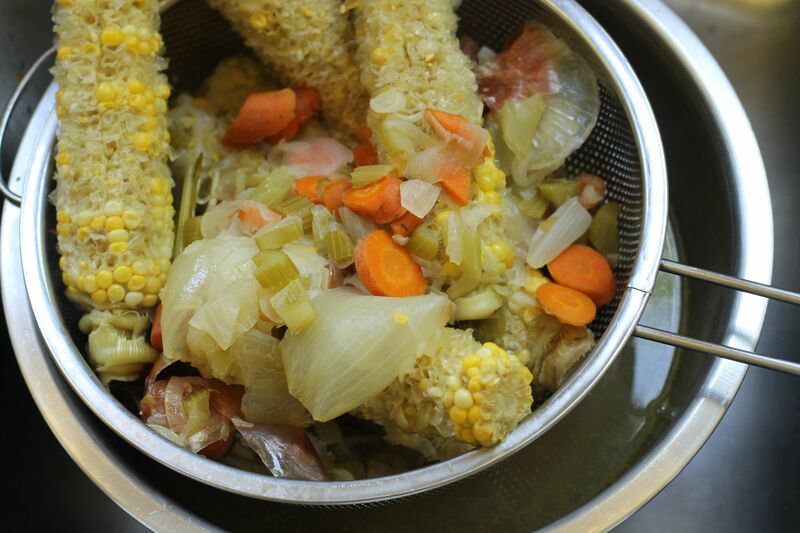 By simmering leftover stalks in a pot of water, you can make flavorful corn “water,” which you can use to make soup, cook grains, or in any other dish that calls for veggie or chicken stock. 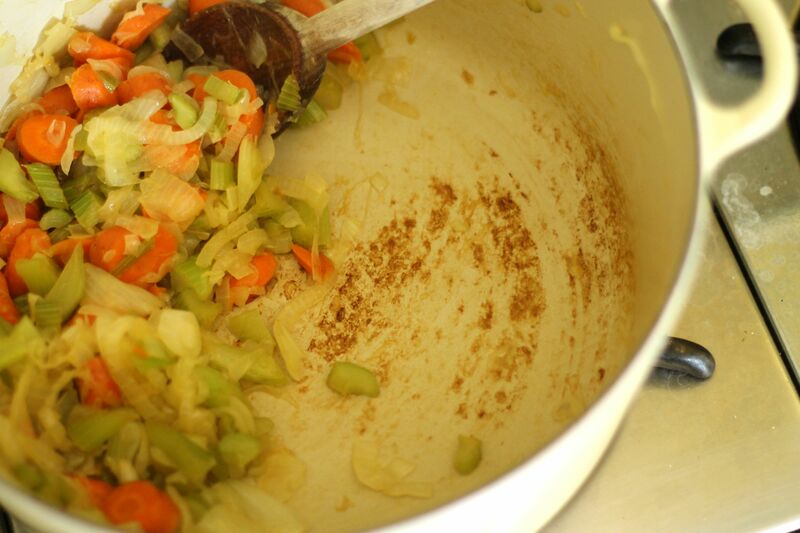 Simply simmer the stalks for 45 minutes or so, then strain off any fibers to yield a smooth, flavorful liquid. Use in place of water or another stock, keeping in mind that it will impart a faint corn flavor in whatever dish you’re using it for. Adding carrots, celery, and onion to the water with the corn cobs creates an additional layer of flavor, the veggies lending their nutrients to the liquid as well. The corn broth featured here is only slightly more involved than adding corn cobs and veggies into a pot of water. I wanted to develop the flavors a bit more, and to use the broth as a base for corn soup, so I took an extra step to create a deeper flavor base. 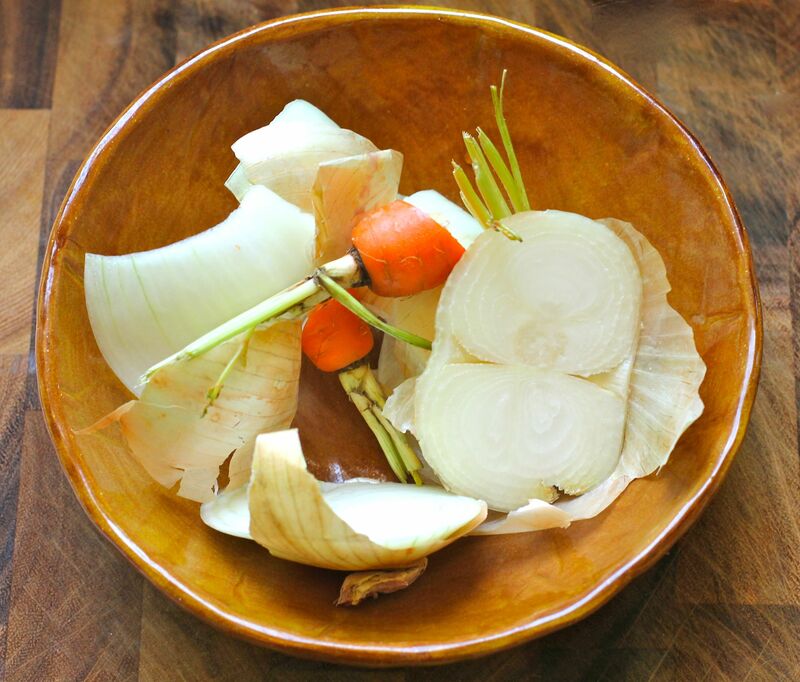 Instead of simply adding carrots, celery, and onion, I caramelized them first in olive oil to develop their flavors. 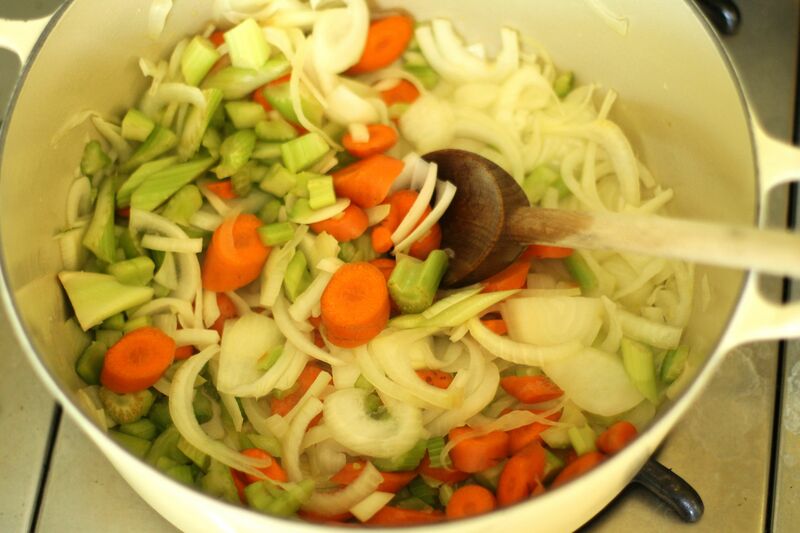 Heat a large Dutch oven or stockpot over medium heat, drizzle with olive oil, then add carrots, celery, and onion. Because the veggies will be used for flavor and strained off later, a rough chop is sufficient. Add a giant pinch of salt to help draw the moisture out of the veggies. Cook the veggies down until they begin to caramelize and brown. You’ll notice the color developing on the bottom of the pan. At this point, you need to watch it a little more closely so that you don’t turn your caramelized flavors into something burnt (which would make your entire stock taste burnt). Once the veggies are caramelized, add corn cobs, veggies scraps (like onion peels and carrot tops), and enough water to cover all the vegetables. Bring to a boil, then turn down and simmer, partially covered, for 45-60 minutes to allow the flavors to release from the vegetables. Set a large strainer or colander over a bowl in the sink, then slowly separate the solids from the flavorful liquid. Discard the solids. At this point, you can use the stock, especially if you’re going to make a chunkier soup, like a chowder, as the solids and fibers will simply blend into your soup. However, I like to strain it again, resulting in a clear, flavorful broth that I can use later on. 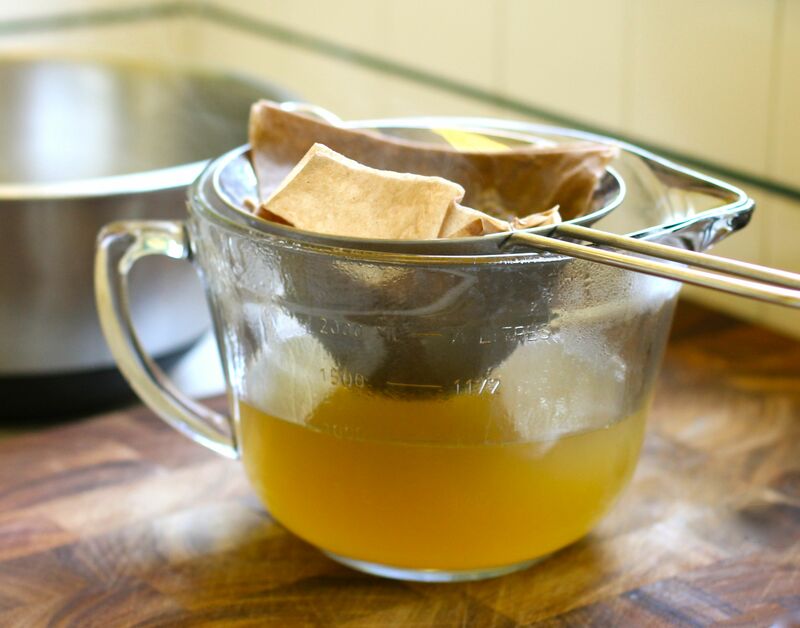 To achieve a clear broth, line a fine sieve with several layers of cheesecloth or paper towel or even a coffee filter. Here I used unbleached napkins because I was fresh out of paper towels. This step will likely take a little more time, as the liquid needs to drain through the filter, separating out fibers and impurities. 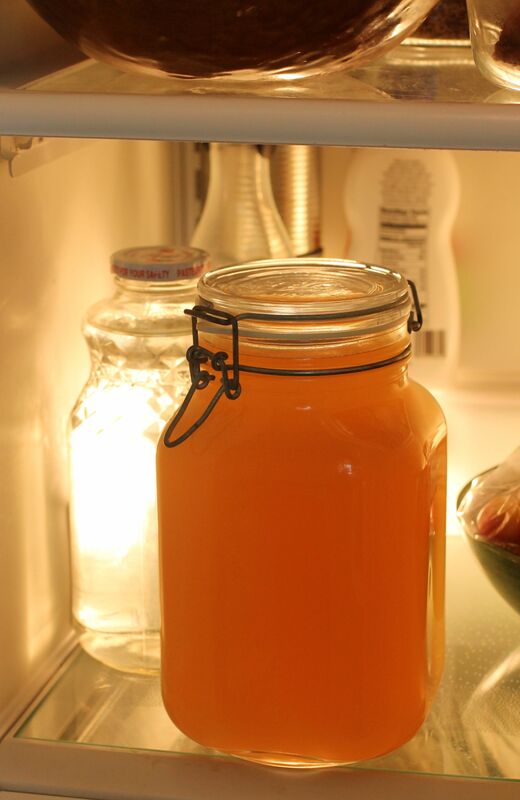 At this point, your stock is ready to be used, or transferred into a container for storing in the fridge or freezer. 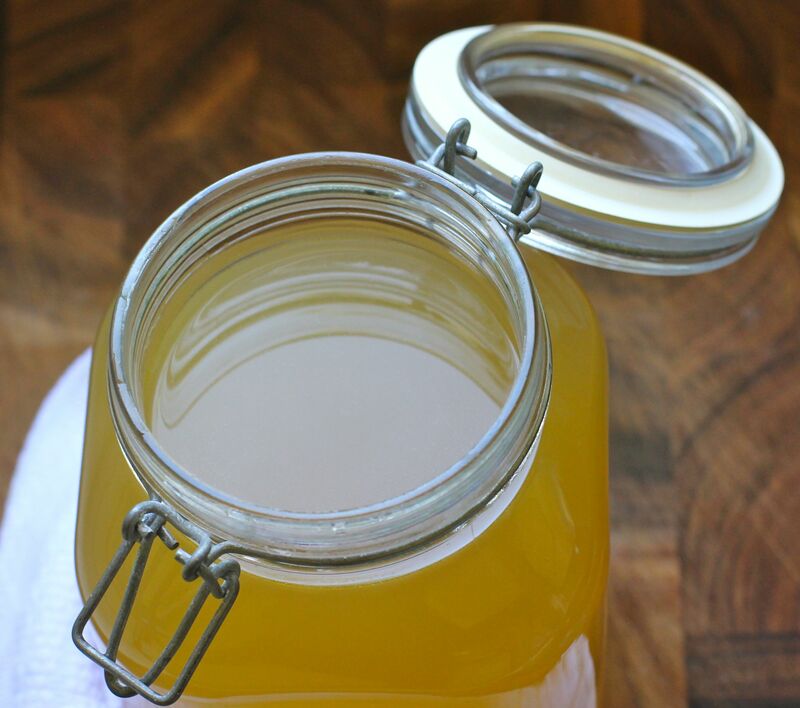 Check back in next Tuesday for a corn soup recipe using our homemade corn broth.